This episode was sponsored by Brand2Global’s “Global Branding & Marketing Certification” program. 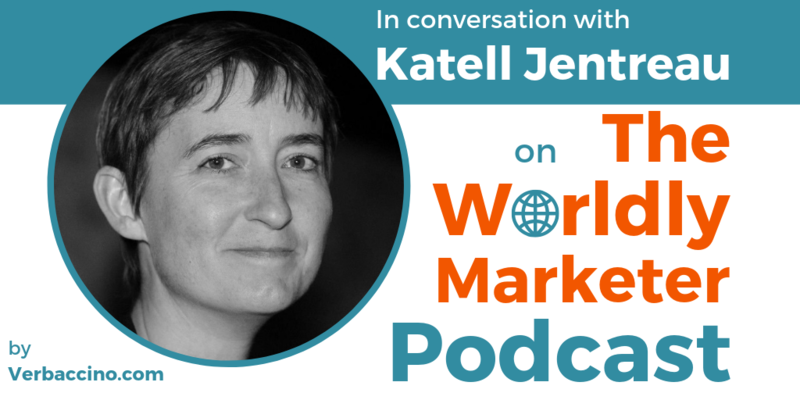 Katell Jentreau is the Regional Globalization Manager for Latin America and Asia Pacific at Netflix. She has more than 20 years of experience in the localization industry, both on the vendor side and on the client side. Founded in 1997 and headquartered in California, Netflix is the world’s leading internet entertainment service with 139 million paid subscriptions in over 190 countries. It offers TV series, documentaries and feature films across a wide variety of genres and languages. Originally from France, and with a background in translation, Katell began her career in 1995 when she joined SDL, one of the world’s leading language services providers. After 15 years of working at SDL’s U.K. office, in Sheffield, she relocated to California to take on the role of Senior Localization Manager at Yahoo! Inc. From there, she joined Box, the cloud content management company, where she held a series of localization management roles. In 2015, Katell joined the Globalization team at Netflix, just as the company was getting ready to launch globally. In her role as Regional Globalization Manager (LATAM & APAC), she has been working on improving and expanding Netflix‘s localized experience for users around the world.